Last blog post i showed you guys I gathered all the information about the scenes that contained CGI. 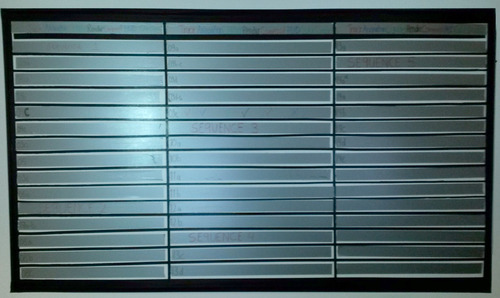 I updated the white board, created a digital version of it and indexed all scenes. Now i’m continuing digitalizing the story board so we can hang it next to the white board. The process is scanning all the papers of the storyboard. After the scans i resize them and put them into photoshop, put in the sequence number and name, shot number and if the scene is a CGI shot or not. Eventually you have something like this. Tuesday i finalized all (52! pages) of them and left the office late. Wednesday they where ready for print after we had the weekly with Herman because I was joining the film crew at the Thales Experience that morning. 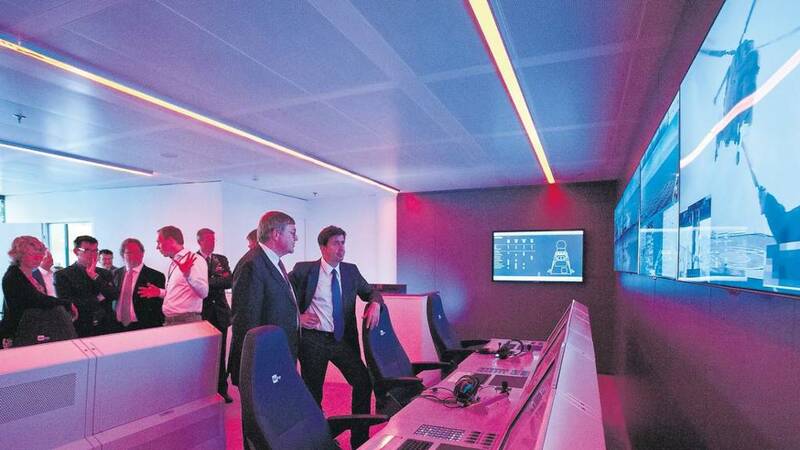 The Thales Experience is room that simulates a control room of a battle ship. Here they can simulate any type of ship warfare and they mostly simulate and show their TACTICOS software. Shooting at the Thales experience was short but effective, mister Chew who is the Thales Experience supervisor. He showed us around the room and explained everything there is to know about the simulation and even real naval warfare. After that we got to shoot the Thales Experience. Nico our sound guy also went along so we could have the room tone. It sounds like a big air conditioner or like a server room. After Thales Experience we had the weekly with Herman. Also, i decided to make a digital version of the white board. I posted it on slack so the other guys can take a look at it. Next Monday i would like to talk to everyone about what is done so i can fill it out further. This is just the beginning setup of the document and it will fill out further the coming days. I would also like to add all the non-CGI shots as well, but that is for later. This document will always represent the whiteboard. It’s like a one way sync! The last few weeks have been a bit busy for me. I have been at the project-IM office a lot but I’ve been working on my research. It is almost done and I will have it out of the way very soon. Today we had a meeting with the whole team. I think it was a very necessary one because that way we could all get our heads together and get the same general direction. We discussed the project and we all agreed that we cannot finish this by the end of January. I’ve sat down with Nikolai a while ago and talked with the rest of the guys about reorganizing the NAS folder structure. This week we are going to use the new folder structure. Everyone has been updated on the situation and Remco will reorganize all the old stuff and put it in a folder. All the new stuff is going to contain the new folder template. Nikolai, Remco and Rob are also working on finishing our animatic so we can have a final version of the shots we are going to use. That way we don’t have silly mistakes about what footage to use. So probably by tomorrow we have a final raw version of the movie. Me and Hajir are going to digitize the storyboard. So far we still have the whiteboard hanging which hasn’t been updated yet. I am going to update the entire whiteboard and change it so we can see per CGI scene what needs to be done. I’m going to work out a sketch version first and then apply that to the white board. That way everyone in the office can see exactly what needs to be done and when it needs to be done. We are also trying to help each other out more in the office, for example Hajir needs some help on setting up the layout and importing the robot for a shot so Hajir can focus on fixing the rig and textures. Stefan is going to help here, hopefully we can get more identical situations where someone else’s skills can help. We’ve also discussed the rig for the robot we are using for the wide shots. The shots where the robot is far way we want to use the HumanIK rig. For all the detail shots we are planning to use the custom rig. We made this decision to save time and hopefully get renders done soon! Since everyone has their own school subjects continuing in early February i’m also making a long term planning on who is going to be here until when, for overview. So far the update and what we talked about for today. Saxion University of Applied Science in the Netherlands is working on a production called Craft Thales. Craft Thales is a experimental project within Saxion where students work on high-end production video with CGI. I am working in this project as an executive producer. I make sure the team is going in one direction and that project management is being done. Also I communicate with external parties and make sure everyone on the external is on par with our project, a little Public Relations on the side. Within the Art & Technology education you have your personal learning programme ( PLP for short ) in your fourth year. You have three classes which you can fill with your own content. I am currently doing 2 PLPs for this Thales project. For each PLP that you have you have a assigned counselor. Every student has his own counselor depending on how you designed your own PLP class. Every Wednesday we have a counseling moment so our teachers can evaluate our progress for the Thales project. Most of the crew is present during these meeting and those are the moments we talk to the teachers about progress, blockades and technical difficulties. It was quite hard for me to get into the role as executive producer because most of the project until now lacks structure. For the time being we have a deadline for next week, but there is no solid structure for me to see where we are going with the trailer. I still need some more time to get around what everyone is doing and what everyone is working on for the trailer. I have a general idea but there is no storyboard or layout where i can see per scene what needs to be done. For the final movie in collaboration with Rob and Remco I would like to add more structure to the project. We for example need better folder structure, solid storyboard for the movie, a nice overview of what needs to be done per scene and a scrum like planning. 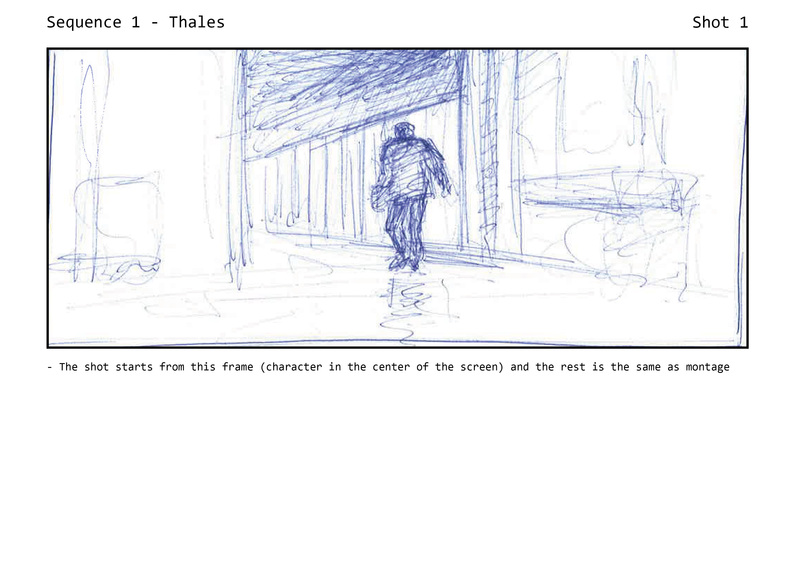 For Thales we would also like to see a flipbook on how the movie was made for internal distribution. In the end we also want to set out a general blueprint of how to setup this project for future students. The project offers students to get really well know with industry standard software. Within the project we are using programs like Photoshop, Illustrator, Nuke, 3d Equalizer, Maya, 3ds Max, xNormal, After Effects, Cubase and Quixel Suite. Most of our communication is done in Slack. We are still searching for a piece of software to use for project management. Shotgun is a recommended industry standard but it also has a cost. So far i’m looking for a scrum like program which is targeted for video productions. Trello seems to be a option but we will definitly use the board hanging here. I started drawing some really basic houses which i want to create. I’ve built one of the drawn houses in Maya to keep practicing on my modeling. One of the things i’m afraid of is to have a really nice render at the end but to have horrible topology in my model. Hence I keep on modeling on these houses. For me it’s hard to actually sit down and draw because i like to see direct results in what i do. Also i cannot correct any errors made in drawings which doesn’t help either. But even before drawing i first need to get a sense of style through a moodboard. I think i’m going to gather up a lot of references and create a moodboard out of that. One of the things i have to get used to is not to keep hitting the render button. When i finish one level of the house or just the basic shape of the house i already want to get into the lighting, materials and rendering. These houses may already have a general feeling on how it is going to look like but it’s far far away from the amount of detail that i want. I would like to see so much more assets being added to the scene. Windows, floors, walls, chairs, floor, carpet and outside assets to name a few. Note to self, modeling first then renders. Here are some renders i did based on this drawing. I did not touch the environment yet, it’s just a huge cube with some vertexes soft-pulled. Just again this one was just for practice. I’m going to work on good references, moodboard and drawings. Maybe some new models for buildings to keep up practice. I’m in my 4th year of art & technology and for this semester we get to choose 3 personal classes. For one of these classes i’ve decided i want to get better at Maya. So I’ve talked to my counselor about creating an environment where i present a house. Since i like architecture a lot i have a idea of visualizing a beautiful home into a rocky area. I first wanted to create a rocky environment which i create with Mudbox. A lot of high poly environment is done with Mudbox and it is highly versatile in creating different assets and surface materials. The Mudbox interface is really easy to use and with just a couple tutorials i was able to create a impressive piece of rock. I was also advised to look at other environment related packages as VUE and World Machine. I think i’m going to give both a try in my holidays. When starting with this terrain I also created a fast and simple house just to get back into modeling and rendering. My future plans are to first determine the house style and then plan the environment around it. I want to have a general sense of the look and feel of the house. Modern architecture or maybe an old Himalayan Chinese style? I think i’ll be creating a moodboard for the final house i’m going to create. I am currently doing an internship at 100%FAT in Enschede. It is very interesting to say the least. The 27th of march we had an opening of our latest project called Smartware. It’s a series of interactive vitrines where companies show their innovative business and where users can read and browse through a menu. A Leapmotion ( works like a kinect ) lets you browse though menu’s and watch videos in the vitrines. All the vitrines we built run on MacMini’s and run a Max patch. One of the other interns is busy doing interaction research and we needed data. We want to know how long people take before they understand how the Leapmotion works and how long people stay in a certain menu. So i was asked if i could find a way to log the data and write it into a file. I asked my colleague how the data was going to be processed and found that it would eventually end up in an Excel sheet. Recently i worked on an online survey where i posted data into a Google spreadsheet. I found a piece of code by Martin Hawksey where you can use a POST or GET method to insert data into Google Docs. Max has a Shell tool where you can send commands to your Mac terminal. Thanks to Russau for his answer at stackoverflow.com i found cURL. The cURL function comes standard with Apple OSX and it can submit data via POST method and can even simulate a <form>. 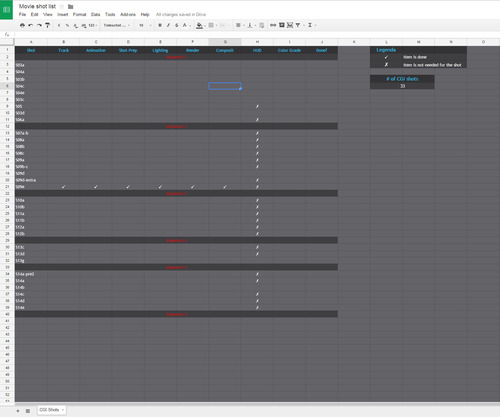 Combining the Max Shell, cURL and Martin’s code i am now able to POST data to a Google Spreadsheet. It is important to do it in this order! Create a new Google Spreadsheet and change the SHEET name (not document name) to DATA. In the first row set the column title. In my example we are using: date, time, message, count. Go to Tools -> Script editor. This will open a new window and choose Blank Project. Now copy Martin’s code in here. Beware that we are using POST method to submit data! And make sure you replace app with undefined at line 49. Now that we have a script we can run and publish our project. Go to File -> Save and it will prompt for a save, anything is good. Now we need to Authorise our project, go to Run -> SetUp and you will see it execute and ask for authorization. Continue here and accept the authorization. Now we repeat the last step to setup the app, go to Run -> SetUp and we’re almost ready to go. Now we are ready to deploy as web app and post data to the spreadsheet. Go to Publish -> Deploy as web app and make sure you have the same options as below and click the Save New Version button. Now we can hit the Deploy button. Google gives us a Current web app URL that looks like this: https://script.google.com/macros/s/RANDOM-ID/exec. We need this later in our Maxpatch. Now that we have setup Google Docs we can continue to Max. You can also use -F to simulate a html form. Beware of case! You can find more curl commands here. And it matches the first row of my spreadsheet: date, time, message, count. Below is the maxpatch file. Copy it and open from clipboard in Max. Now every time i bang, i get a new line in my Google spreadsheet. Good luck writing to Google Docs! This week i started working as an intern at 100% FAT, a dutch company that fuses art with technology. To really know what they do check out 100fat.nl. So far it has been an awesome experience and i’m really glad i applied as an intern there. The team is young and i have the feeling that i can learn a lot while i’m here. It’s very nice since i can do a lot of experimenting with a wide array of tools. This week i already started with Max/MSP and Arduino communication. It has got me really interested what else i can do with Arduino. I think i’m going to buy a breadboard and a soldering kit just to get started on my own projects. So far they have showed me a lot of their work and current projects. One of the projects i’m helping on right now is a project they are creating for the Gallary at the University of Twente. They are using a lot of leapmotion technology which is really interesting, currently i’m working on getting Arduino to communicate with some remote controls sent via infrared. Awesome first week! For the fourth quartile we are doing “De Verleiding” this is the time schedule that i’m keeping up. You can find it in this Google Document.